Today's job candidates must be able to collaborate, communicate and solve problems – skills developed mainly through social and emotional learning (SEL). Combined with traditional skills, this social and emotional proficiency will equip students to succeed in the evolving digital economy. 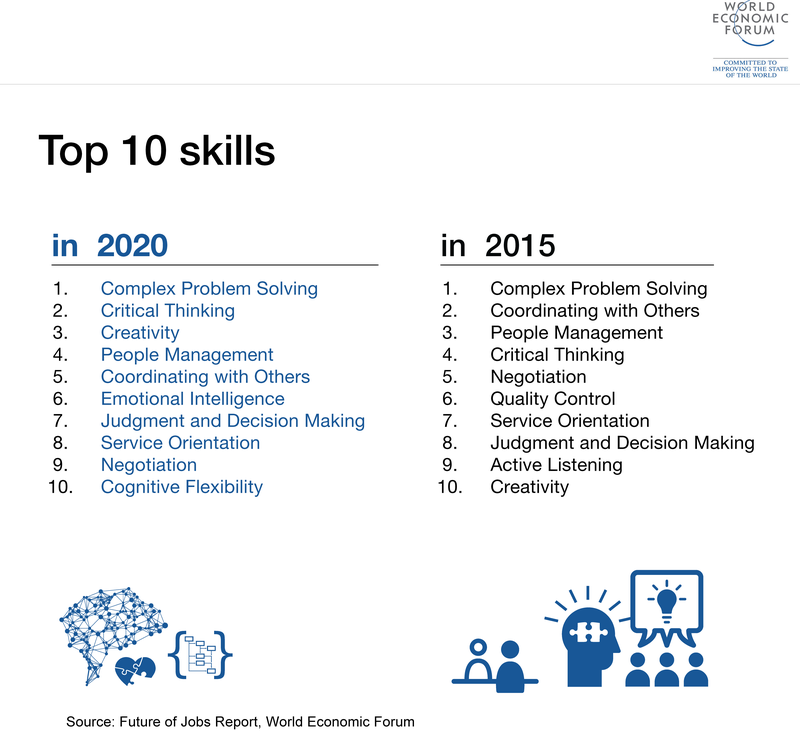 What skills will be needed most? An analysis of 213 studies showed that students who received SEL instruction had achievement scores that averaged 11 percentile points higher than those who did not. And SEL potentially leads to long-term benefits such as higher rates of employment and educational fulfillment. Good leadership skills as well as curiosity are also important for students to learn for their future jobs. Another Forum report, The Future of Jobs, launched during the Annual Meeting 2016 in Davos, looked at the employment, skills and workforce strategy for the future. The report asked chief human resources and strategy officers from leading global employers what the current shifts mean, specifically for employment, skills and recruitment across industries and geographies. Policy-makers, educators, parents, businesses, researchers, technology developers, investors and NGOs can together ensure that development of social and emotional skills becomes a shared goal and competency of education systems everywhere. What does the future hold for your job?